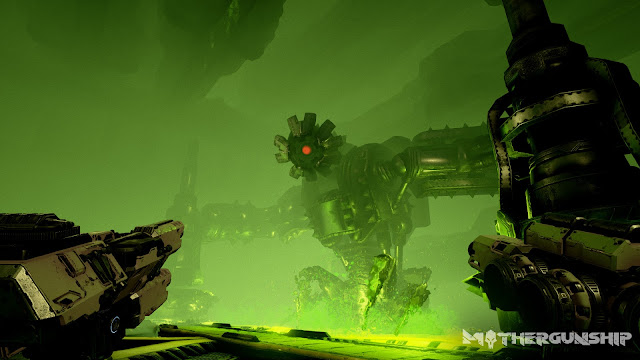 Collecting Asylum: Asylum Reviews; Mothergunship [Xbox One]. 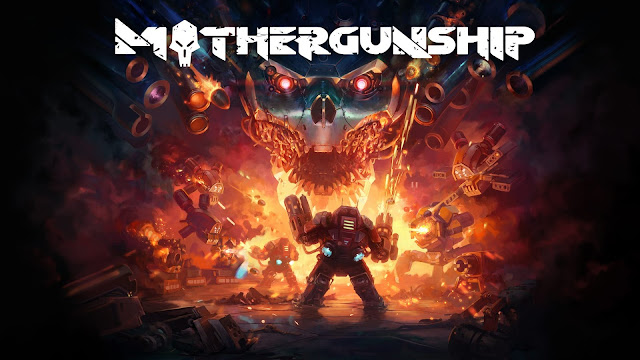 Asylum Reviews; Mothergunship [Xbox One]. 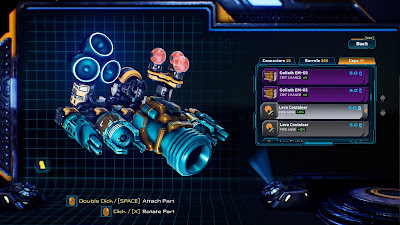 If you're looking for a game with a little bit more creativity in your arsenal, then Mothergunship is the one for you! 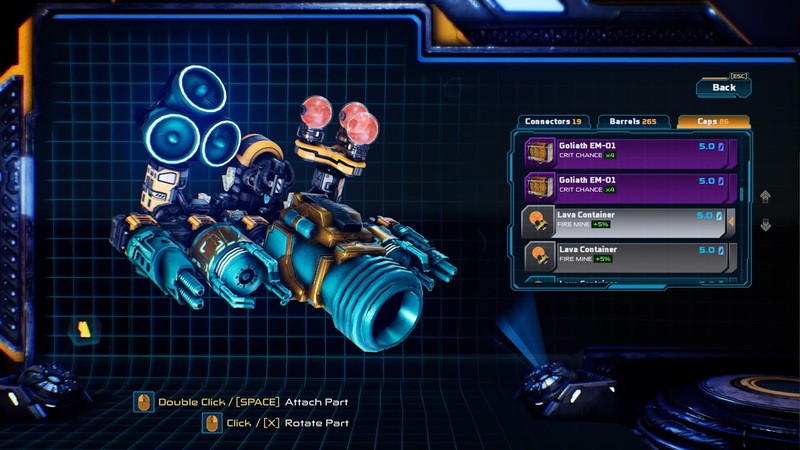 It's a bullet hell first-person shooter, with heavily (and we mean heavily!) customisable guns, and randomly generated levels. Developed by Grip Digital and Terrible Posture Games, it's a spiritual successor to the latter's earlier release: Tower of Guns. In Mothergunship, the aim is simple. Fight your way through the insane amount of bullets firing towards you, and stop the alien invasion, led by Mothergunship. The story is minimal, which is mostly to be expected in a game like this - let's face it, we're here for the guns, am I right? The ability to create these absolute masterpieces of crazy guns is something once buried within your imagination. Sure, you can customise guns in some other games, but nothing comapred to what we see here. You start with a blank canvas, and a whole slew of possibilities. Do you want a shotgun, or a rocket launcher? Homing missiles, bouncing rounds, what about a whole bunch of extra barrels? The choices are there, but be warned - your recharge times will drastically increase the more barrels you add and the more insane your gun gets. It makes it impractical to use these hilariously over-sized guns, other than just to test them out. They just end up dominating your screen and leading you to your fate whilst you recharge, which in a sense is a clever way for the developers to draw that fine line between creating anything you want, and becoming so OP that the game is just a complete bore. You also need to re-create your weapons before each mission, which can be a little bit frustrating. You also need to make sure you have enough credits saved up for the shops within each dungeon if you want to buy extra upgrades or additional health. Later in the game, coins can also be used to buy rather expensively priced weapons from the Smuggler's Stop (which sometimes even allows you to buy back a weapon you've lost if you go to the Lost and Found section). You also are able to carry two weapons, allowing you even more customisation for how you want to play - something small and precise in one hand, and something larger and more destructive in the other was our preferred option. You start off with just two empty fists, which pack a serious punch, but you need to be pretty close to actually deal damage. You are in a mech-suit which can be upgraded when you return to base and have gained enough experience. You can also gain extra jumps when working your way through the levels as enemies drop these jump upgrades. Starting with three, you can end up with as many as 40 continuous jumps making it a damn sight easier to traverse the rooms. The gameplay is fast and frenzied, with you having to always be on the move to dodge the onslaught of bullets, whilst trying to wipe out all of the robotic monstrosities on screen. The choices you make in constructing your weapons can just as easily make or break your run as your actual skill in working your way through the levels. Dying will cause you to lose the precious gun parts that you worked so hard to get, giving you a much greater need for survival. There are Challenge Rooms that provide, as the name would suggest, a Challenge, which will reward you with various upgrades, etc. Usually these rooms will require you to survive for "x" amount of time, without using one of your weapons, or without taking any damage, or something along those lines. It's definitely worth it to enter the Challenge Rooms, as the rewards often far outweigh the risk of the room itself. Similarly, there are also Diceroll Rooms which offer up quite a good reward in return for taking the gamble of entering. Graphics wise, it's nice and crisp, however pretty much everywhere looks the same and it feels very generic and samey to what we expect to see in games like this. Nothing really stood out visually for us, which was a little disappointing. There aren't a whole lot of variations within the enemies, and it can be quite boring to go up again countless of the same enemies. The bosses on the other hand are as fantastic as they are huge, and this really helps to change things up a bit. With sound, each type of weapon sounds great, and very distinct differences between them. 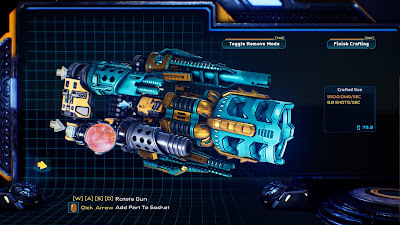 The dialogue is funny and evokes a very tongue-in-cheek style: Mothergunship is definitely not a game that takes itself too seriously. The soundtrack is reminiscent of old school arcade shmups, but is often drowned out by the sound of gunfire. It's often quite difficult to tell if you've been hit when in battle, and the little Loading rooms between the main rooms are very frustrating as it's not a fluid transition from one room to another (and these Loading rooms are glitchy and buggy as heck). The samey-ness of the levels, and repetitive enemy types just didn't give us enough variety to encourage us to keep coming back, despite both of us being avid fans of roguelike games. It wasn't the worst game we've ever played, not by a long shot, but it just wasn't enough to keep us interested at all, and ended up becoming a bit of a chore to play through. We'd have liked to have seen a lot more variety in enemy types to make things a bit less generic. 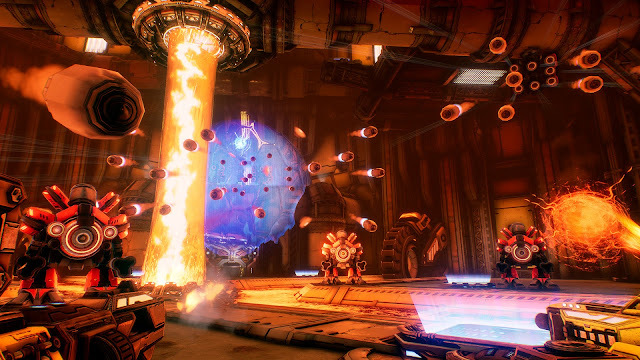 Have you played Mothergunship? What did you think of it? Asylum Reviews; Mugsters [Xbox One]. Asylum Reviews; Nidhogg 2 [Xbox One].